The paralegal profession in South Carolina is enjoying steady growth overall, and is especially active in and around cities like Charleston and Greenville. The state is currently home to about 3,960 working paralegals, according to the Bureau of Labor Statistics, and because legal assistants are so cost-effective for performing some legal tasks when compared to lawyers, the paralegal profession is expected to continue to grow rapidly both statewide and across the country. In fact, a national increase of 28% for paralegal jobs is expected over the next six years. The South Carolina Rules of Professional Conduct defines paralegals as “paraprofessionals” who perform work under a licensed lawyer. It’s important to note that only lawyers may provide legal services – paralegals and other legal professionals may not give legal advice, represent a client in court or perform any other legal service without their supervising attorney, who must assume responsibility for any actions taken by them while employed. 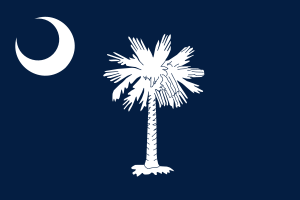 Like other US states, South Carolina does not currently have any official requirements or oversight for paralegals, so aspiring legal assistants instead have a couple of options to become a certified paralegal. Students can earn a certificate or degree through a Paralegal Studies program at a college or university, or gain paralegal status informally through training at their place of employment. In general, South Carolina paralegals who have graduated a program with an official certificate are given preference when applying for jobs, and some employers require a formal education. For working paralegals seeking a formal certification, some employers may provide financial support for an education. Paralegals earn their official certificate when they pass one of four national approved certification exams. Working paralegals and paralegal students alike should also consider becoming a member of a professional organization, such as the South Carolina Upstate Paralegal Association (SCUPA), which provide membership benefits including access to exclusive job openings, education opportunities and professional networking. The current average annual salary for a paralegal in the state of South Carolina is about $42,240, with a $20.31 average hourly wage. While this is significantly less than the national mean annual salary of $49,960, South Carolina has a lower overall cost of living than in many other states in the country. Most paralegals in this state are employed by private law firms, with the government, investment and healthcare sectors also employing paralegals. The official oversight of the law sector and college law programs is provided by the American Bar Association (ABA). An ABA endorsement is only given to law studies programs that offer a legitimate education with appropriate classes and qualified faculty. An ABA-endorsed program is not only a good idea to sign up for because of the quality of education it offers, but also because it opens up more job opportunities. A school’s accreditation status is a broader distinction and different from an endorsement by the ABA, and is provided by the US Department of Education. Some employers only hire legal assistants who have earned their education from an accredited school, while others require an ABA endorsement, and some require both. For the most employment opportunities, it’s best to attend a school that is both accredited by the Department of Education and endorsed by the ABA. 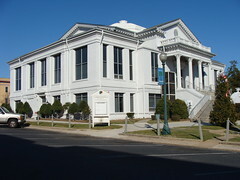 South University is a public 4-year university with multiple locations throughout the region, including a campus in Columbia, South Carolina. It offers an Associate of Science degree through its Paralegal Studies program. Will Paralegals Disappear? The Paralegal Mentor Says “No”!